Last week, the SEC released a letter asking for input and engagement on the potential consideration that digital assets may pose to its ‘Custody Rule’ as under the Investment Advisers Act of 1940. (h/t to Conor for bringing it to my attention!). In this post, I will try and break down some of the terms, provide some context, and point to where the ongoing debate is. Quick explainer on ‘custody’: in the physical world, having custody of something means that you are in charge of keeping/taking care of/ responsible for something or someone. In the financial world and in the rule I am referring to, if you are an investment adviser, being a custodian means that you directly or indirectly hold your customer’s funds or securities, or that you have the authority to obtain possession of them. Basically, in order for investment advisers to have custody of client funds or securities, they have to maintain those funds/securities with the requirements of the custody rules. Note that since 2003, “custody" has been amended to also include the authority to *access* client securities and funds, which means that it goes beyond just physical possession. What do the current requirements under the ‘custody rule’ (i.e. “ rule 206(4)-2) look like? I want to make a note that this rule applies to investment advisers only. An investment adviser is generally a person or a firm that— for compensation, is engaged in the business of providing advice to others regarding securities, or issuing reports or analyses regarding securities. And these people or firm who otherwise don't have an exemption to rely on must be registered with the SEC. there is the notice requirement, which means that your client must know that you have custody of their funds/ securities. The requirements are too numerous and nuance to list out all here, and if you want a deeper understanding of all of them, I’d recommend you to look at the rule in full here. You’ll notice that most of it is pretty common-sense rules to ensure that investment advisers and their employees can not misappropriate their client funds/securities and are doing the right kinds of disclosures. The problem with the current custody rules arises in what the SEC calls “non-DVP arrangements”, which means "custodial trading practices that are not processed or settled on a delivery versus payment basis”. I know, that’s a mouthful. To further break it down, a DVP (delivery versus payment) is jargon-speak in the securities world for when a buyer’s payment for a security is due at the time (not before, not after) of delivery. This is supposed to ensure that delivery will happen only if payments happen. It reduces the risk that a buyer of a security would pay out the $, and not actually receive that security. 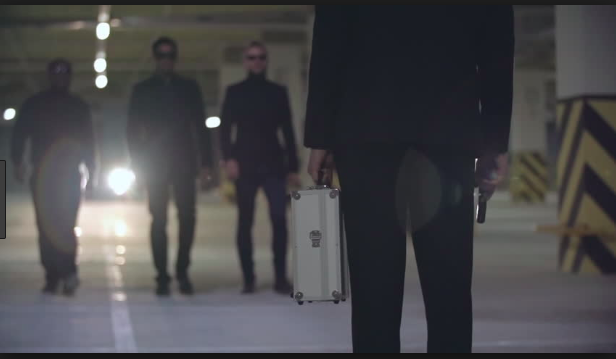 Remember all those spy movies with the ‘briefcase exchange’ scenes? In one frame, we see a guy with a briefcase full of $100 bills, then the camera pans to some other guy with fancy machine/ jewelry/gadget inside his briefcase. These two people then meet in an abandoned parking lot/ desert/ highway/top of a skyscraper. Now we see two black cars pull up, and there are suddenly like 10 other guys in suits and sunglasses on each side. The two main guys (usually with super expensive suits and watches) walk to the midpoint in slow-mo and exchange suitcases at the same time. That’s basically what DVP is! Obviously the real DVP settlement process is a lot less exciting, and usually refers to stocks or other securities instead of tangible futuristic looking gadgets. The underlying concept is the same though. You receive the thing, and they send over the money- at the same time. A real-world example of a DVP is the DTC (Depository Trust Corporation) system here in the U.S. The DTC is a SEC registered clearing agent, and they hold physical security certificates (these can be equities, corporate bonds municipal bonds, or money market instruments) in custody on behalf of other parties like brokers, dealers, banks, and investment companies. The DTC also provides a way for these security certificates to get transferred to each other via their own bookkeeping system (i.e. crediting/ debiting the user accounts) and arrange for the payments between parties. Two parties that want to settle a securities transaction via the DTC can choose to do so using a DVP arrangement for any number of reasons: maybe because they want to be able to immediately process the transaction, or maybe because they want to have the funds immediately available. Now that the jargon is out of the way, let’s examine where the issue lies today, which is in the NON-DVP arrangements. If a DVP arrangement means that payment and delivery happens simultaneously, then a non-DVP arrangement would logically refer to those trade where either the client’s custodian releases payment before the securities is settled, or vice versa. It’s pretty clear where the risk could be here- this is called ‘settlement risk’ in jargon-speak term. The DTC example I just used is also one where there actually is an intermediary between the buyer and the seller (the DTC and its own system being that intermediary), but in peer-to-peer transactions, there is no DTC equivalent. In short, the SEC is concerned over those custodial trading practices that are not processed or settled on a DVP basis. What types of instruments trade on a Non-DVP basis? And how do these instruments trade? What is the settlement process of peer-to-peer digital asset transactions (i.e., transactions where there is no intermediary) and what risks does this process present? What is the settlement process for intermediated transactions in digital assets, such as those that execute on trading platforms or on the over-the-counter markets, and what risks does this process present? To what extent are investment advisers construing digital assets as “funds”, “securities”, or neither, for purposes of the Custody Rule?What considerations are advisers applying to reach this conclusion? It’s clear to me that the SEC is concerned about the compliance for investment advisers in trading digital assets, particularly as most of those trade will deviate from what they are used to seeing. This letter is only the first step in gathering more information before the SEC decides to implement actual rule changes (this is a much bigger deal than simply providing guidance!). What’s interesting to me is that the SEC does not seem to be jumping the gun in subjecting all non-DVP trades as under the custody rule, but rather is posing this as an opportunity for them to assess the underlying custody risks. As we all know, rule-changes like this take months to years to actually complete. I suspect this is really only the beginning of a long conversation, followed by numerous debates and comments before something actually happens. But if you are an investment adviser in the business of perhaps acting as a custodian for digital assets, these issues are important to pay attention to. Feel free to share your thoughts with me either on twitter, or in the comment box below.